Colchester, VT - Nokian Tyres is offering more protection to motorists clashing with winter’s demanding driving conditions by expanding use of a strong, synthetic fiber technology that reinforces sidewalls, making them more resistant to impacts and sharp objects. Aramid Sidewall Technology allows Nokian Tyres to better withstand potentially hazardous situations like potholes, crushed stone or debris that can lead to punctures or slashes in the sidewall. The heavy-duty synthetic fibers, which are also used by the aviation and defense industries, were phased into production during 2016 and starting in 2017 now stamped on the sidewall of the Nokian Hakkapeliitta R2 SUV, Nokian Hakkapeliitta LT2, Nokian WRG3 SUV and the Nokian Rotiiva HT, AT & AT Plus. 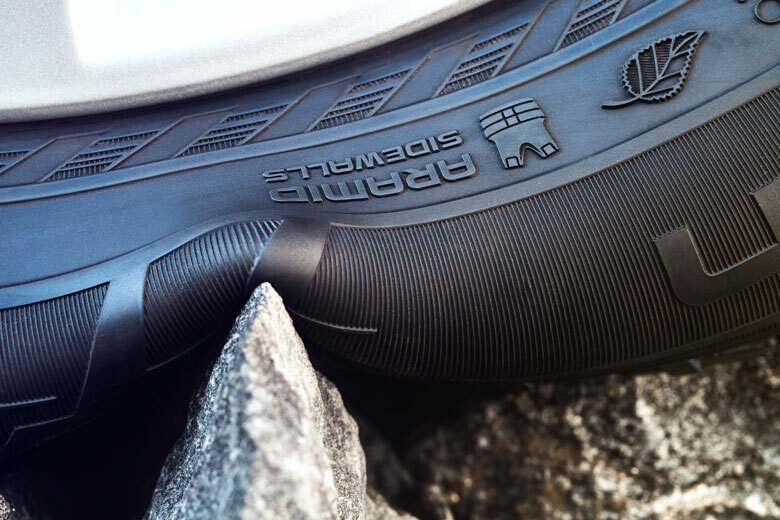 “We have received a lot of positive feedback from SUV drivers about how Aramid Sidewall Technology has given them added protection in situations where there was the likelihood of an external impact to their tires,” said Petri Niemi, head of product management at Nokian Tyres. “Winter weather creates a whole host of trials for drivers, from snow and ice covered roads to large cracks and potholes that are formed from the freeze and thaw conditions that weaken and damage asphalt. The Aramid sidewall structure was first utilized in the Nokian Hakkapeliitta 8 SUV and previously extended to include the brand new Nokian zLINE A/S SUV & Nokian Rockproof tires. Nokian Tyres is the world's northernmost tyre manufacturer. The company promotes and facilitates safe driving in demanding conditions. It supplies innovative tyres for cars, trucks and special heavy machinery mainly in areas with special challenges on tyre performance: snow, forests and harsh driving conditions in different seasons. Nokian Tyres’ product development is consistently aiming for sustainable solutions for safety and the environment, taking into account the whole life cycle of the tyre. A part of the Nokian Tyres group, the tyre chain Vianor has 1,475 outlets in 26 countries. In 2015, Nokian Tyres had approximately 4,400 employees and net sales of approximately $2.1 billion. Nokian Tyres, Inc. / Nokian Tyres Canada Inc.